One of the problems you may encounter when setting up your XBMC on your TV is that it doesn’t fill the entire screen or portions of the picture are flowing off the screen. If that ends up being the case, there is an easy way to correct the problem either using the software for your video card or settings in XBMC. 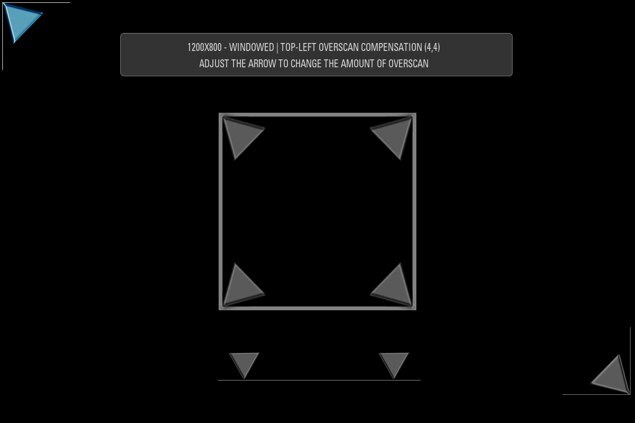 The setting we will be tweaking is referred to as overscan. Ideally you won’t need to make adjustments to this because it can affect the picture quality, but at the same time you want to make sure things fit correctly on your display. 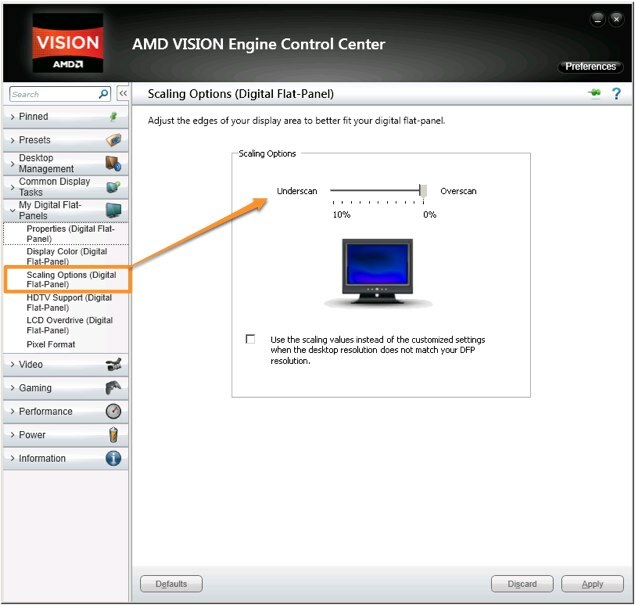 If you install the ATI VISION Engine Control Center, you should be able to correct how much of the screen is used for the picture being outputted by the computer, and unlike the next solution, this affects how the entire OS is displayed… which is probably what you want. Just open up the ATI VISION Engine Control Center, navigate to the My Digital Flat-Panels, and click Scaling Options. From there you can drag the overscan slider around until the picture fits your TV correctly. You can adjust how XBMC fits to your TV directly from the XBMC interface if you’re not able to do it from within the software provided by your video card manufacturer. This is different than the driver configuration mentioned above because this only effects XBMC rather than how the entire OS is displayed.